As we near Valentine’s Day it is the season of all things hearts!! And while we love the classic red and pink hearts, hearts of any color can be beautiful! 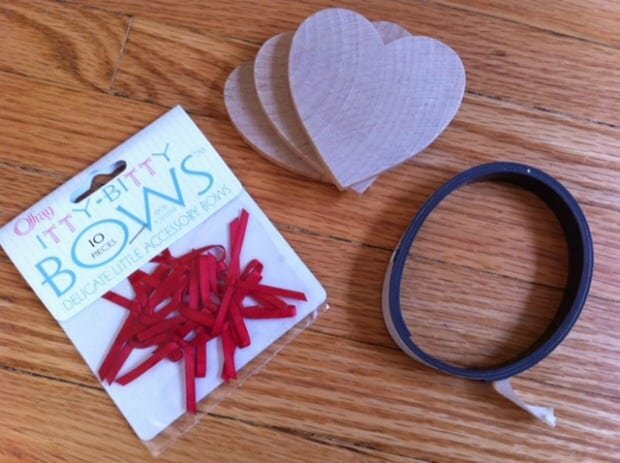 That’s why we had fun making this fun and simple Wood Valentine Heart Craft. It only uses a few supplies and then as much imagination as you want to give it. Little R chose to make his with a fun mosaic design using some bright and not-so-bright marker choices. If you prefer, you can use paints or even crayons to color your hearts. To make our hearts perfect for gift-giving, we added a magnet on the back so they can go right on the front of Grandma’s refrigerator – usually holding another piece of artwork in a front-and-center position in the kitchen. You should be able to find all of the supplies you need at your local craft store, or you can find them all online at Amazon. Let your child use markers or paint to create a design on the front of the heart. If giving the heart as a gift, a “TO” and “FROM” can be added to the back (leave space for the magnet!) Cut a small strip of magnet. 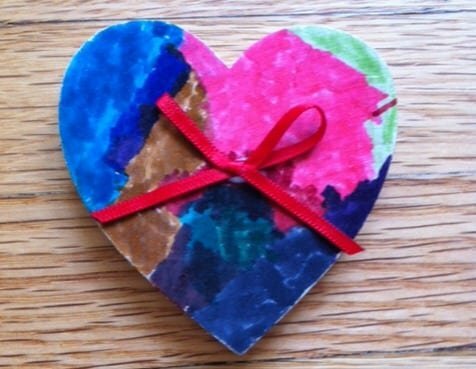 Let your child peel off the the paper backing from the magnet strip and attach to the back of the heart. Glue the ribbon on to the front of the heart. Let glue dry before handling. This is too cute! 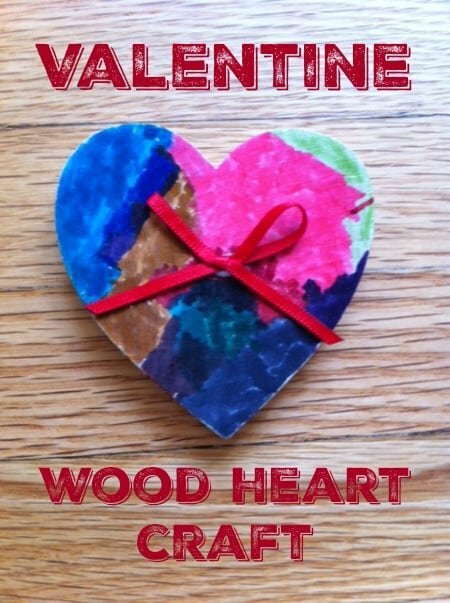 My daughter and I would love to make one of these cute Wood heart craft! This is cute! This is a great twist on the traditional Valentine cards.